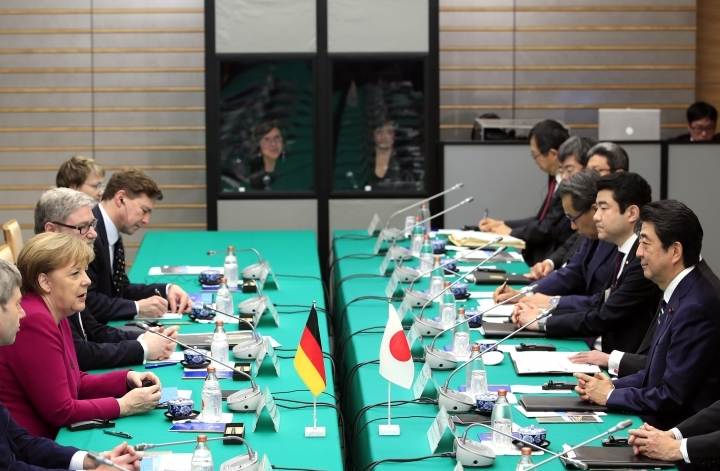 TOKYO — The leaders of Germany and Japan said Monday they will try to minimize the global economic impact from Britain's upcoming departure from the European Union and pledged to defend free trade in the face of rising protectionism. 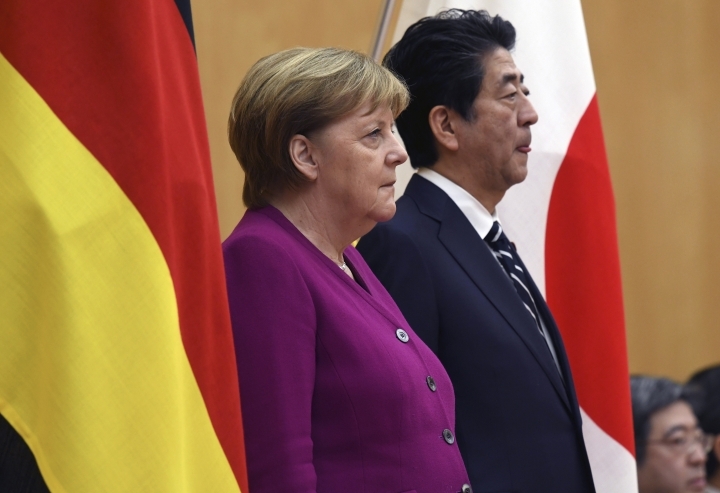 Japanese Prime Minister Shinzo Abe and visiting German Chancellor Angela Merkel urged Britain to avoid a no-deal Brexit. 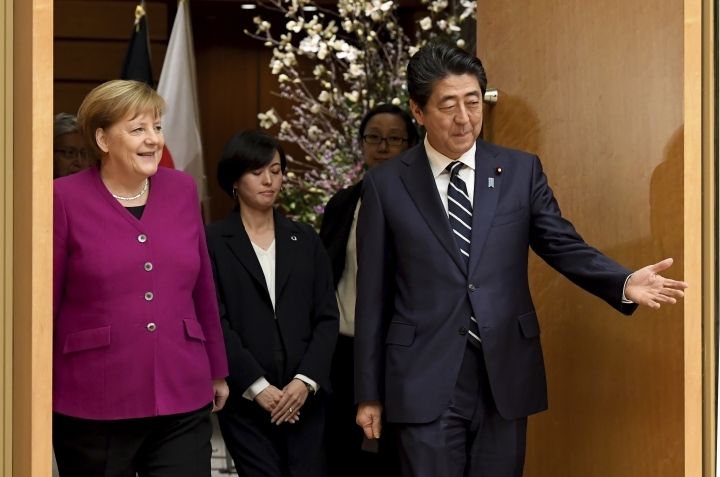 Last Friday, Japan and the EU ushered in a landmark trade deal that creates one of the world's largest free trade areas. Combined, the two sides account for almost a third of the world's economy. 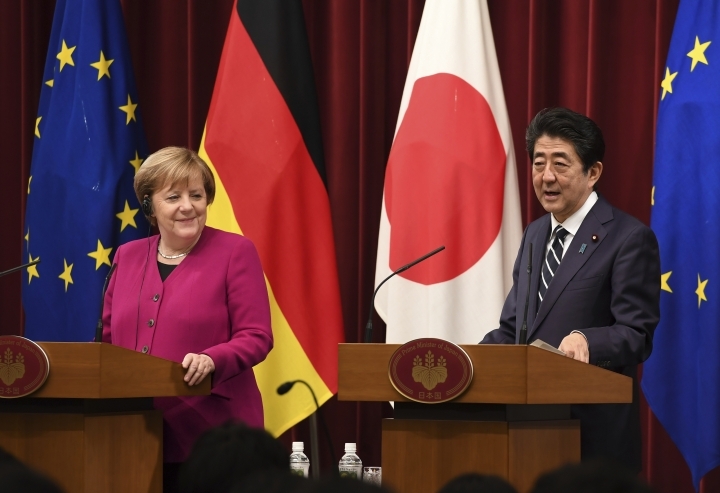 Abe said Japan and Germany would work together to keep the global economy growing. "In order to do so, we need to minimize the impact on the global economy from Brexit," Abe said at a joint news conference following their meeting. "We definitely hope (for Britain) to avoid a no-deal Brexit." 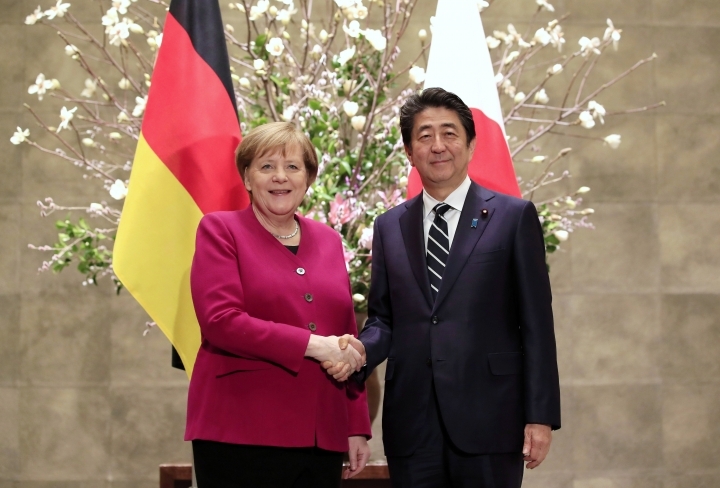 Abe told Merkel that their countries' commitment and leadership in defending free trade is extremely important. Merkel suggested at the news conference that it's still possible for the EU and Britain to come to an agreement on how the border between Ireland and Northern Ireland will function after Brexit. She said, however, that London needs to come forward with a proposal. The withdrawal agreement can't be renegotiated, but questions surrounding the border arrangements could still be addressed in a declaration on the future relationship between the EU and Britain, Merkel said. "One has to be creative, and we must listen to one another," she said. But first, "we must hear from Great Britain how they envision that." Merkel also joined other European leaders in recognizing opposition leader Juan Guaido as "the legitimate interim president" of Venezuela. Germany and several other countries in the European Union had set President Nicolas Maduro's government an eight-day deadline to call a new presidential election. The ultimatum expired on Sunday.